Designed for trauma surgery. 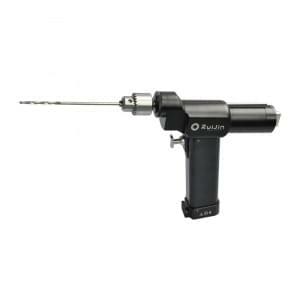 This medical bone drill made of high-strength biomedical stainless steel, with low noise, low vibration, variable speed, portable, lightweight, and reliable performance.For added safety, this device features a speed control mechanism, Autoclavable can be sterilized up to 135℃. Ii: Professional drill and saw manufacturer. 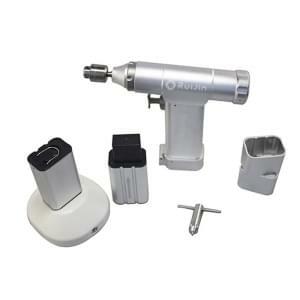 Iii: Medical drill machine chuck scope: 0.6-8mm/0.6-6mm. I: For a traumatic operation. Ii: Concentric drilling less than 0.05mm difference ensures precise and stable performance. Iii: Accommodating variety of drilling demands with the dedicated drill bit. Iv: Gearless control drilling speed 0~1300rpm. Vi: Custom-made drilling speed: 1100 rpm. 1200rpm. 1350rpm. 1500rpm are available.